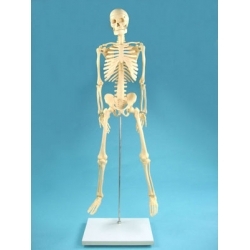 This Human skeleton half size model demonstrates the basic anatomical features of the human skeleton. 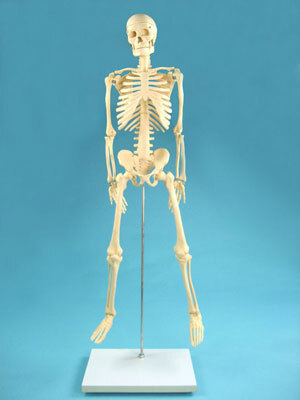 The skeleton has natural movement of the joints with the exception of fused carpals and tarsals. Constructed of rugged plastic with a heavy metal base for an extra measure of stability. Features include unbreakable ribs, stainless steel screws, brackets and springs to resist corrosion. 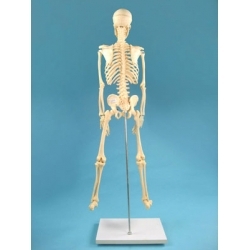 Model mounted on a vertical stand.